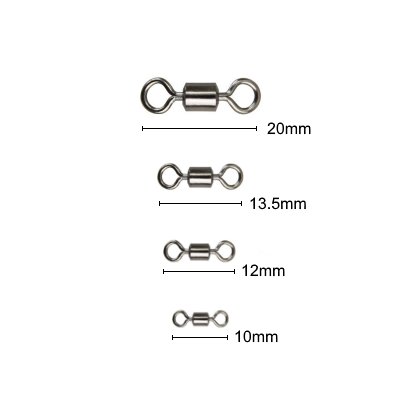 Cronus Black Nickel Swivels are a high quality sea fishing swivel which can be used for constructing rigs or attaching spinners and lures to line. 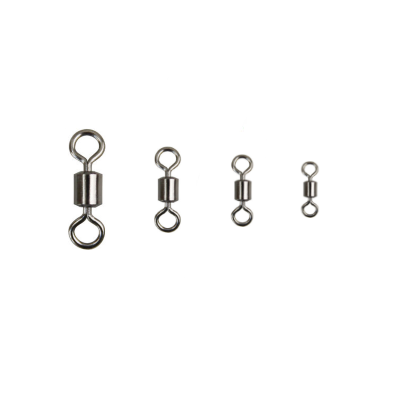 They have a rolling design with a round eye and strong construction, meaning that these swivels have a high breaking strain and can withstand the rigours of sea fishing around the British Isles. 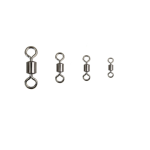 We believe that these swivels offer high quality at an extremely competitive price. Size 1 can be used at the top of rigs, size 4 and 6 for snoods/hooklengths and the smallest size 8 can be used for delicate LRF rigs. 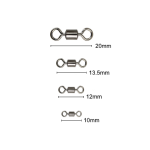 Sold in packets of 20 swivels, or buy one packet of all four sizes at a 15% discount.